Generally, it is easy to know if you are eligible to contribute to a Roth IRA: you work at a job and earn money, so you are allowed to contribute up to $5,500 per year ($6,500 if you are over age 50). I already contribute to a Roth 401(k) plan at work? Generally, yes. Employer-sponsored retirement plans are separate from a personal Roth IRA you own yourself. There are separate rules governing employer-sponsored plans, regardless of whether you contribute pre- or post-tax money. I’m a stay-at-home parent? If your spouse has earned income, yes. Couples who are married filing jointly are allowed to both contribute to Roth IRAs, even if one of them does not work. I have taxable alimony from a divorce or separate maintenance payments? If it’s taxable, yes. If you receive non-taxable support (and/or child support), this does not count and you cannot use it to contribute to a Roth IRA. I’m a member of the armed forces and I have non-taxable combat pay? Yes. Even if it is non-taxable, you can still use combat pay to contribute to a Roth. I am over age 70? As long as you (or your spouse) have earned income, you can continue to contribute to a Roth. Roth IRAs also do not have Required Minimum Distributions, so unlike traditional IRAs, you can take the money out at any time and at any rate you choose. I want to contribute for 2015, it’s after April 18, 2016 and I filed a tax extension? No. Even if you haven’t finished filing your taxes for 2015, April 18, 2016 is the deadline for 2015 Roth contributions. However, you can make a 2016 contribution anytime between now and April 17, 2017. I receive income from a pension or annuity? No. Since you receive pension money after retiring, it is not looked on as “earned income” for Roth contributions. Money from an annuity is also not eligible for contributions. I receive income from a deferred compensation plan? Unfortunately, no. While you did earn this money, you are not currently working for the deferred compensation so it is not eligible for Roth contribution. 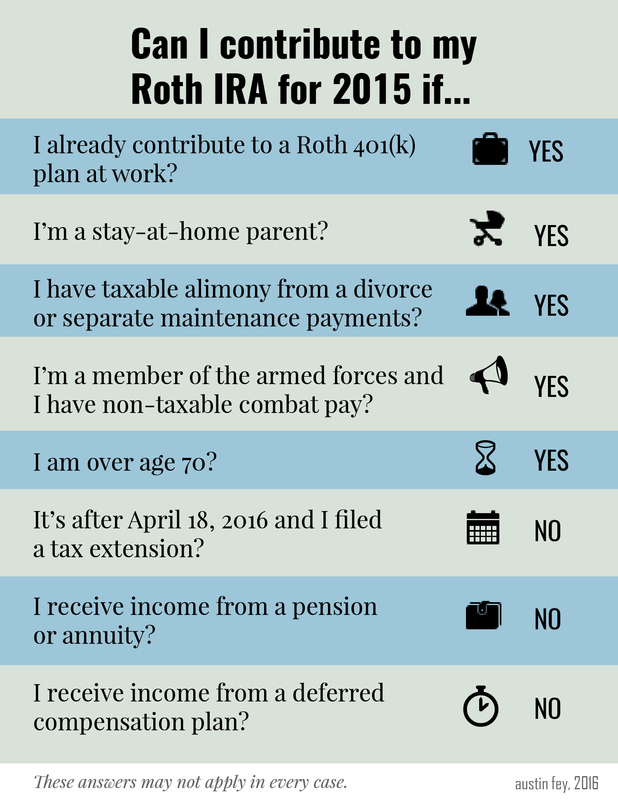 Hopefully, this will help you figure out if you can save money in a Roth IRA. Your future self will thank you! 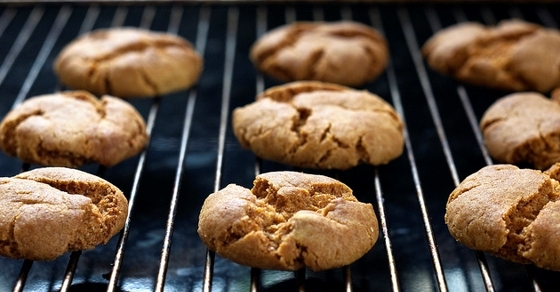 Featured Photo used here under Flickr Creative Commons.